Resources - Trevilla & Trevilla PA.
Florida Rules of Civil Proc. Florida Rules of Appellate Proc. Mr. Trevilla has defended over 1000 people arrested for felonies and misdemeanors. Mr. Trevilla is admitted to the Florida Bar, Member of the Federal Bar for Southern District of Florida, Member of the National Association of Criminal Defense Lawyers, Florida Academy of Criminal Defense Lawyers, and Cuban American Bar Association. Another not guilty for PhotoJournalist Carlos Miller and the first amendment. Click here for a link to videos from the trial. Mr. Miller was arrested for videotaping an arrest during the Occupy Miami protests. He was documenting the eviction of protesters from the Government Center when he was arrested and charged with Obstruction of Justice…. Arnold and Priscilla are the ultimate legal professionals. For the multiple years I was fortunate to work with them in the state courts criminal division I witnessed their tenacity, professionalism and intelligence. They are honest and down to Earth. Definitely worth every penny. I highly recommend them. I got into a horrible dui accident, had no liscense and the driver in the other car was injured. She spent at least a week in the hospital with head injuries. My wife was skeptical about hiring Trevilla until She read his reviews. He has 5 stars for a reason! He was able to get my case dropped to a simple, reckless driving. Just a few community service hours and a small fine. Compared to the $10,000 fine I could have possibly had if I was charged with Dui and driving with no liscense. We are super thankful for him and his Team. Thank you Mr. Trevilla! The defendant was charged with murder. Case went to trial and after jury verdict defendant was found not guilty. Defendant was charged with murdering his stepfather by strangulation. Case went to trial and evidence showed that the strangulation was accidental. Jury found him not guilty. Defendant walked out of court a free man after spending years in prison awaiting trial. Police officer charged with DUI and leaving the scene of an accident. Mr. Trevilla was successful in getting the case reduced to a reckless driving with probation. 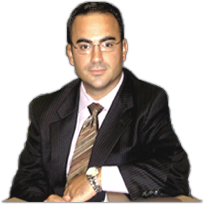 Mr. Trevilla is experienced Criminal Defense attorney and with a sound understanding of the criminal justice system and what tactics work best to get the best results. Contact us now for a free initial case review.